As our Scholarship process is winding down and we are getting closer to nominating our 2012 Scholarship recipients, we still stay in touch with our 2011 recipients, who if they still qualify will also be eligible to continue receiving funds from WAAW Foundation. The next 2011 Scholarship recipient featured is Ashabe Katushabe from Uganda. My name is Ashabe Katushabe. 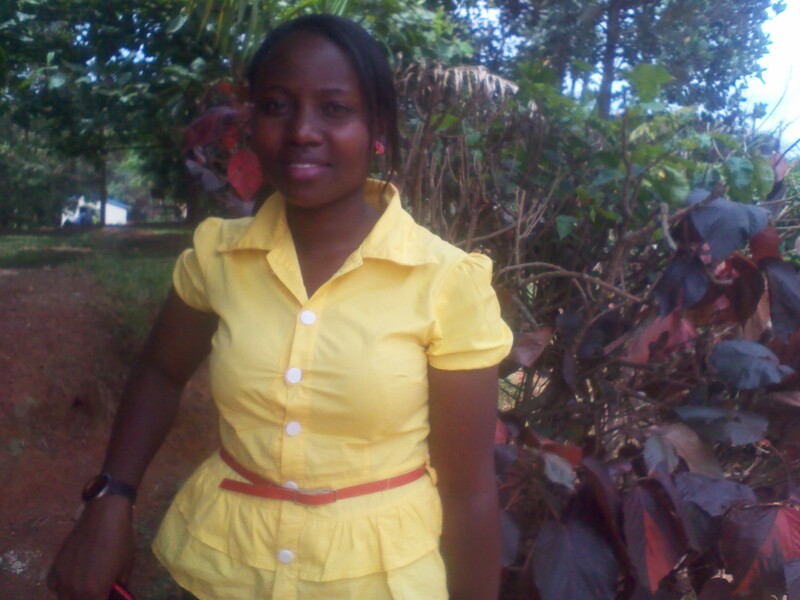 I am a female Ugandan aged 20, in my second year at Makerere University pursuing a Bachelors’ Degree of science in Computer Science. I come from a family of 3girls, 3 boys and am the second born. Tell me a bit about your educational background. I started my education from Mbarara Mixed Primary School located in Mbarara a small town 300km to the West of Kampala, the main Commercial and Capital City of Uganda. At that time, it was the hope that my education was my future that helped me carry on completing my education despite the hardships. I later joined Kinyasano Girls Secondary School for my secondary education. My vision was to become a doctor. To this end, I enrolled in Bweranyangi Girls High School where I did Biology, Chemistry, Physics and Mathematics. However, my two years in High school were not the best. They were marred with many inconsistencies including sickness and tuition problems considering that I come from a large family. I remember spending at least one month at home just before my final exams due to sickness. I did not achieve to the best of my expectations due to the myriad of problems in this critical time. I could not enroll for my choice course due to the competition in University entry coupled with thesmall number of universities in Uganda. I applied for computer science and was successful admitted on self-sponsorship. In this way, I felt that I could still better serve my community by directing my energies in creating computer and IT-based platforms that will help in educating people about spirituality, morality and human rights. My main challenge has been obtaining tuition but my resolution to complete my education supersedes my limitation. Success at all costs is a must. How did you first hear of WAAW Foundation scholarship program? I first heard about WAAW foundation scholarship from a friend who encouraged me to apply and pray before submitting the application, having known that I longed for a scholarship for quite some time. How has the scholarship helped you in your educational pursuits? As a recipient of the WAAW scholarship funds I have been able to study the first semester of my second year without hiccups because I paid my tuition and also cleared my hostel fee, which have also been a problem to me in the previous semesters and have always lead to a less concentration during my semester. How is WAAW scholarship going to help you in realizing your plans for the future? Well, the scholarship is helping me finish my undergraduate degree first, which really is a key milestone in my greater purpose in life of using Information and Computers to better my community in regards to spirituality, morality and human rights. What would you like to do when you graduate from school? When people interact with me they are always surprised at how inquisitive I am, asking many questions so as to understand. One can describe me as a self-driven, bright, born-again and smart elegant lady of integrity and someone who is always willing to learn. What else do you have to say to WAAW Foundation? I would finally like to say thanks to WAAW Scholarship foundation for the support and the facilities provided to African women. May God surely bless you. The bible says that we shouldn’t give up on doing good. God richly bless you exceedingly, abundantly than you can ever imagine.